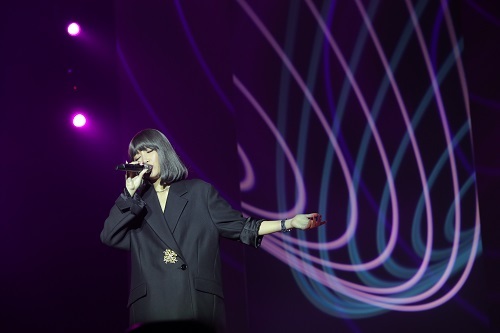 (Macao, July 29, 2018) – Popular Taiwanese singer A-Lin thrilled The Venetian® Macao’s Cotai Arena on Saturday night with her latest show, I’m A-Lin Concert in Macao 2018. The singing sensation performed signature love songs such as “Lonely” and “PS I Love You” alongside faster-paced tracks including “Go” and “A Big Big Hug”. A highlight was her classic hit and crowd singalong favourite “Give Me a Reason to Forget”, which announced her to the world when she performed the song on Chinese reality show “I Am Singer”. A massive success since kicking off in September last year in Taipei, the tour provided a feast for the eyes as well as the ears, a stunning stage set and alongside a top-notch band and world-class audio-visual effects. As well as impressing with the virtuosic singing ability for which she is renowned, A-Lin is equally famous for sharing her feelings and emotions, creating a bond with fans and using her music and bubbly personality to instil joy and hope. 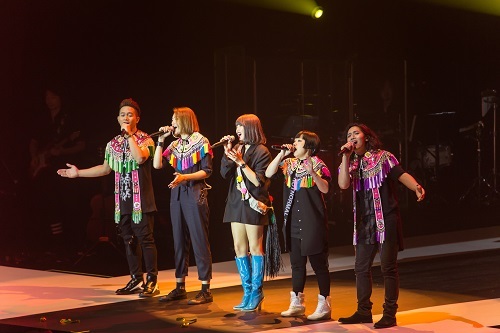 from Taiwanese singer A-Lin at her I’m A-Lin Concert in Macao 2018 show. Photo caption: A-Lin impressed fans at The Venetian Macao’s Cotai Arena with her amazing singing ability and professionalism.